Award-winning Latvian composer Ēriks Ešenvalds was born in Priekule in 1977. Having studied at the Latvian Baptist Congregation Theological Seminary from 1995 to 1997, he took up music at the Jāzeps Vītols Latvian Academy of Music in Riga, graduating in 2004 with a postgraduate degree in composition. Whilst a student at the Academy, he also became a member of the Latvija State Choir, singing with them from 2002 until 2011. He left in 2011 to take up a two-year position as composer-in-residence, formally the Fellow Commoner in Creative Arts, at Trinity College, at Cambridge University. His awards include the Latvian Grand Music Prize in 2005, 2007 and 2015 and the International Rostrum of Composers first prize for The Legend of the Walled-in Woman in 2006. He was a laureate of the Copyright Award in 2006 and was named ‘The Year’s New-Composer Discovery’ by the Philadelphia Inquirer in 2010. In the same year, he was also nominated for the British Composer Award. In 2014 the Latvija State Choir recording At the Foot of the Sky, dedicated to choral music by Ēriks Ešenvalds, won the Latvian Music Records Award. Ešenvalds’s vocal, chamber, and symphonic compositions have been performed at numerous international festivals in Austria, Germany, France, the Netherlands, the UK, and the USA. His works have been premiered by ensembles across the globe, including the Britten Sinfonia, the Choir of Trinity College Cambridge, the Holst Singers and Imogen Heap, the Choir of Merton College Oxford, the Latvian Radio Choir, Latvija State Choir, Sinfonietta Rīga, the Bavarian Radio Choir, the Latvian National Symphony Orchestra, the Netherlands National Children’s Choir, the Swedish Art Vocal Ensemble, Salt Lake Vocal Artists, Temple University Philadelphia, Portland State University Chamber Choir, the Choir of the West at Pacific Lutheran University in Tacoma, the University of Louisville Cardinal Singers and the University of Mississippi Concert Singers. 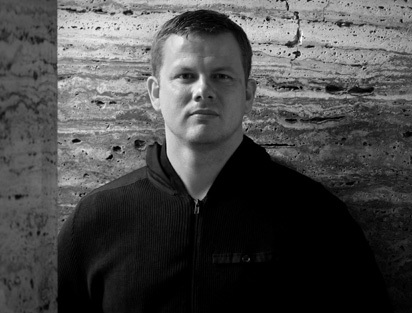 Ēriks Ešenvalds’s premieres in 2014–15 included Lakes Awake at Dawn for the Boston and City of Birmingham Symphony Orchestras, Whispers on the Prairie Wind for the Utah Symphony and Utah Chamber Artists with ACDA chorus, Passion According to St. Luke for Latvian Radio Choir and Sinfonietta Rīga, an opera at the Latvian National Opera, and pieces for Chor Leoni Vancouver, the University of Miami Glee Club and ChorWerk Ruhr. April 2015 saw the world premiere in Riga of a new multimedia symphony inspired by the Northern Lights, with further performances in the USA, Australia, Germany and the UK. 6Ešenvalds has an obvious affinity with vocal music: over 70% of all his works are choral pieces. His rich and sonorous choral writing has been described as a ‘permanent ecstasy’, which at times is ‘too ravishing to cope with’. His choral works are primarily unaccompanied, although some feature brass band, saxophone quartet, percussion or orchestral accompaniment, with textures varying from three to twelve voice parts.